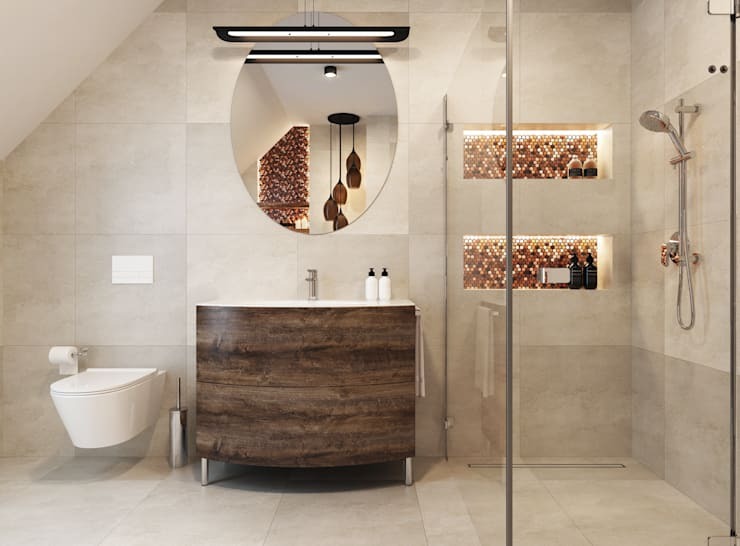 Neutral colour might sound boring, but when used correctly it can bring out a warm and calming atmosphere that you'll love for a bathroom in particular. Neutral colours include shades of black, white, grey, brown, tan and ivory. These colors are usually used as background for more intense shades, but they actually don't need to be. Combining closely related neutrals, or deeply contrasting neutrals, can both be stellar looks. In these kinds of rooms colour seems simple, so you can be free to experiment with other aspects of design. In particular, playing with texture can be very rewarding. 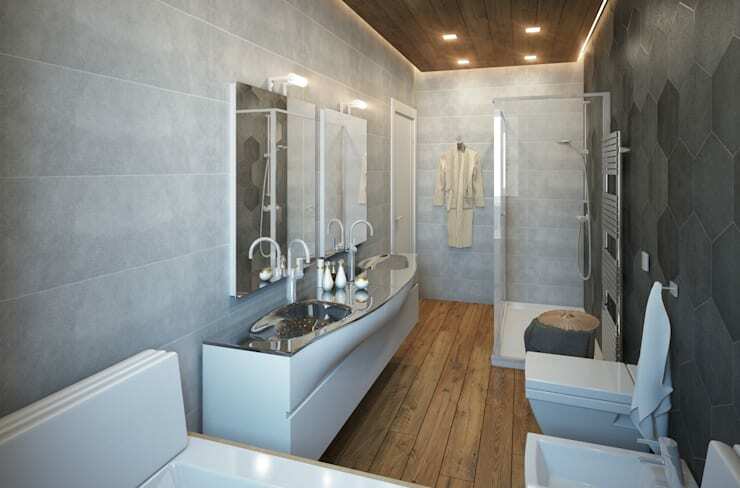 We've collected some inspirational neutral bathrooms to show you the range of styles and atmospheres neutrals can create. 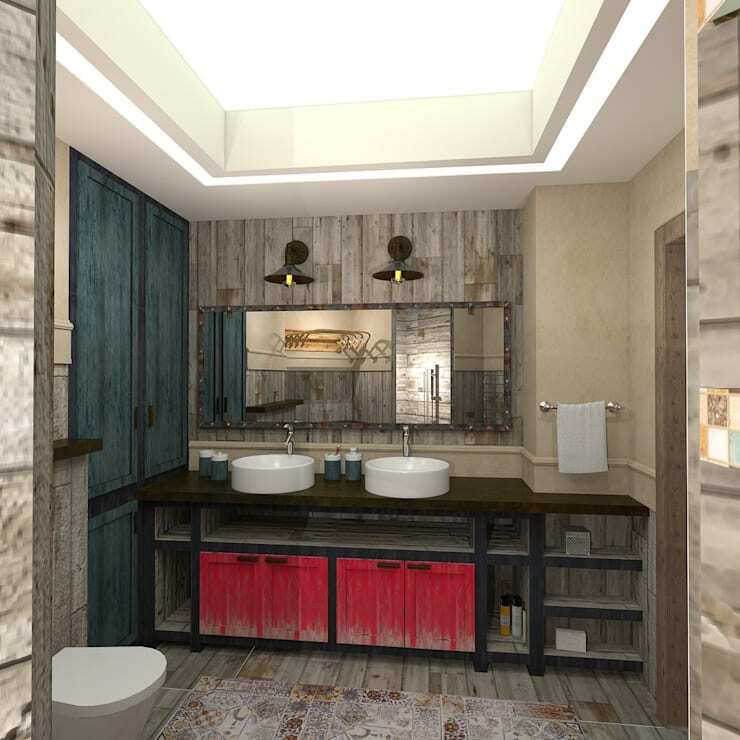 If you need some help with your design, you can always consult an interior designer. 1. 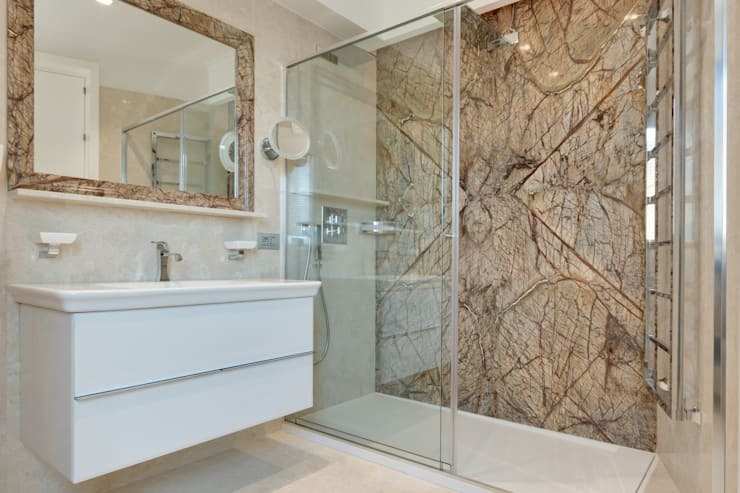 Glazed glass is a brilliant feature in a neutral bathroom especially, because it's so subtle. 2. A combination of various wood finishes makes a polished statement. 3. 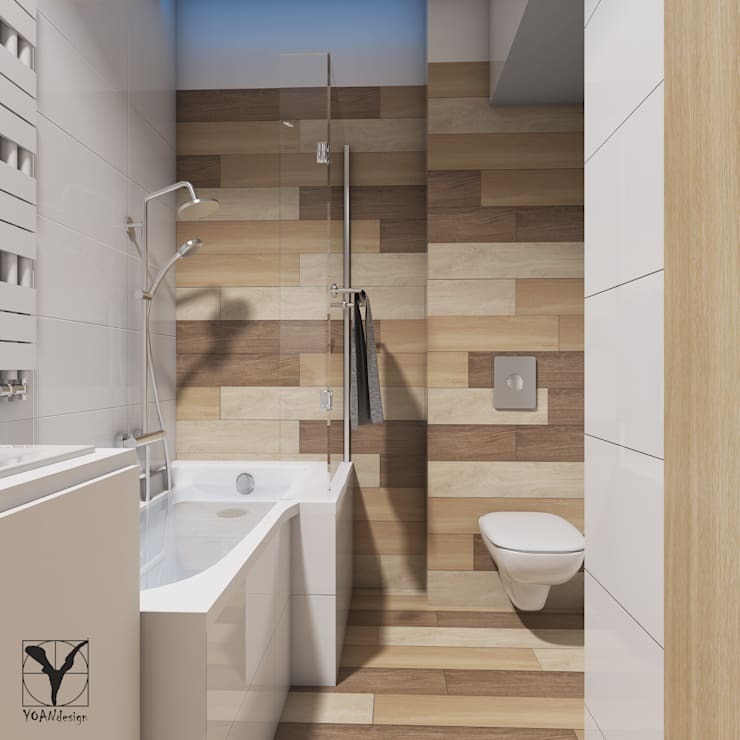 White on white looks seamless, and makes for very relaxing bath. 4. 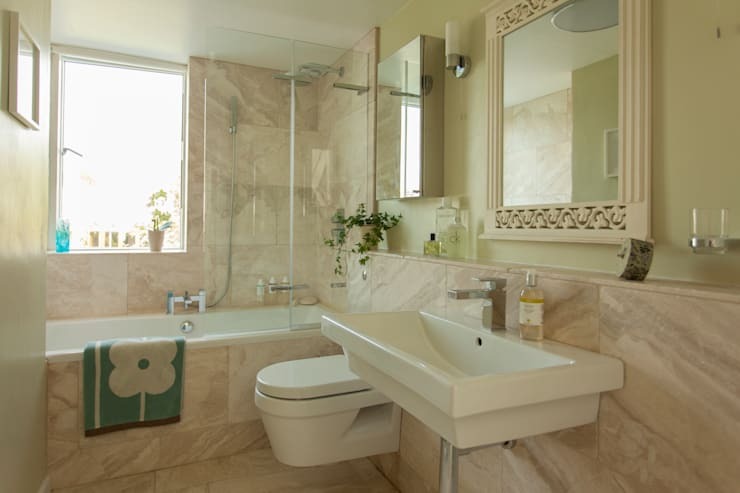 Multiple tones of cream can be extended from the tile onto the walls and fixtures. 5. 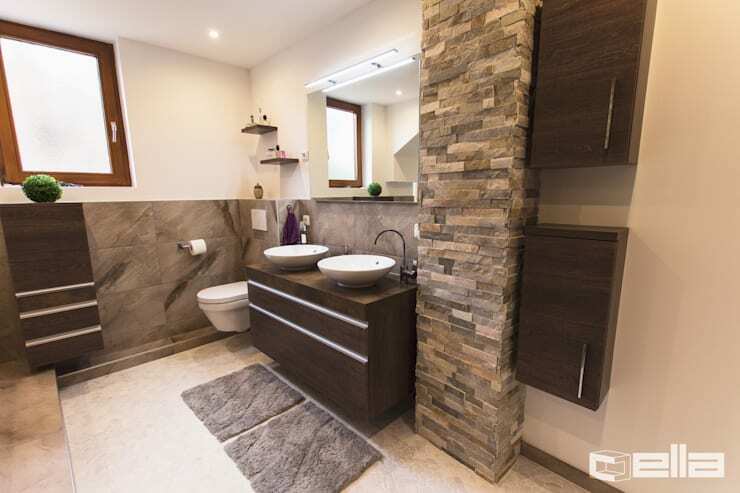 Combine textured stone with very dark wood for a contemporary look. 6. 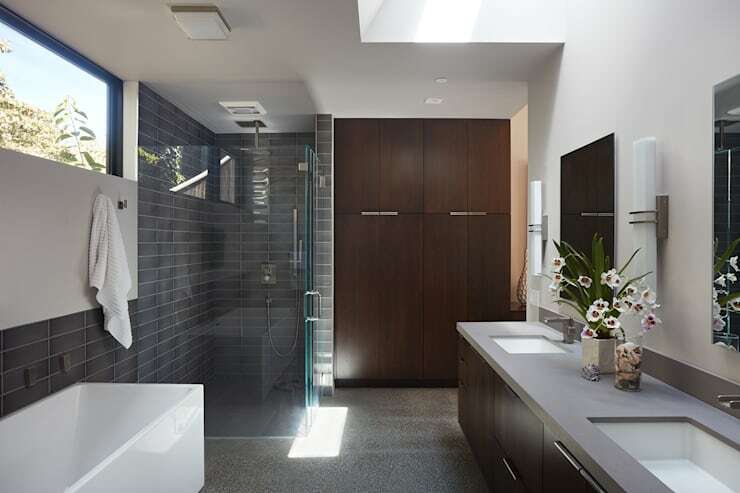 Grey is an underutilized neutral in bathrooms because people are afraid it will look cold. Combine it with wood to warm it up. 7. 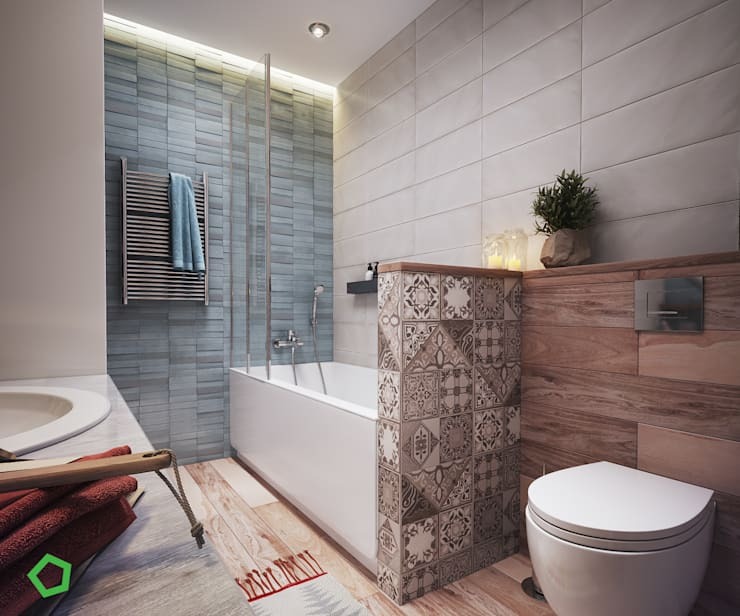 Adding direct lighting onto neutral tile can bring it a whole new life. 8. This distressed neutral wood is perfect to pair with essentially any colour, or more than one! 9. Sometimes the best texture isn't from the combination of individual tiles, but from one elegant, massive, piece. Il marmo in ogni ambiente. 10. When you keep things neutral you can play with fixture shapes and embedded shelves. 11. 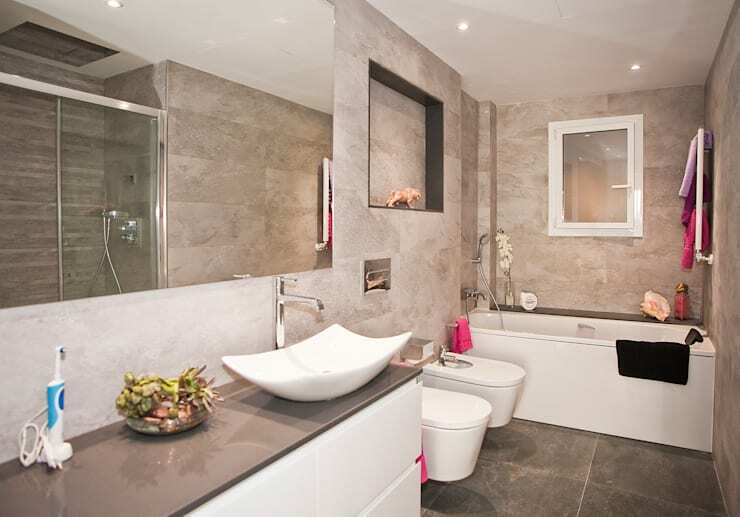 Combining five or more neutrals can make for a funky bathroom, especially if the textures are different. 12. Dark neutrals add sophistication, and so does that simple art. 13. Don't underestimate the value of adding smooth, shining features to contrast texture, like this bathroom cupboard. 14. 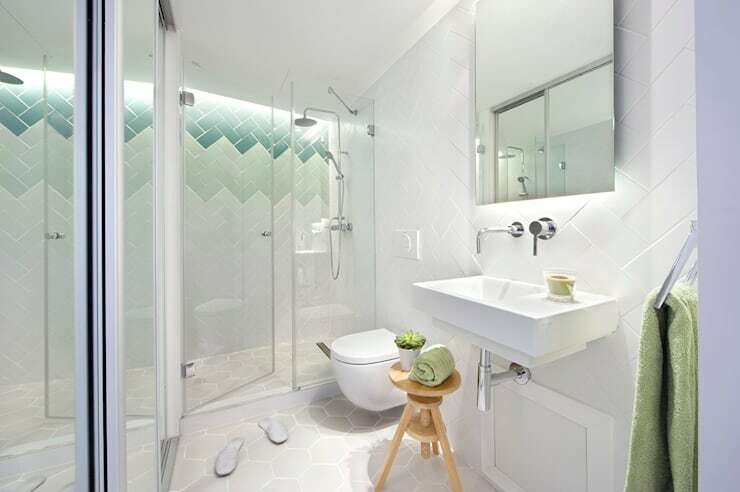 We love the subtle geometrical tile pattern on this neutral flooring. It's so refreshing! 15. 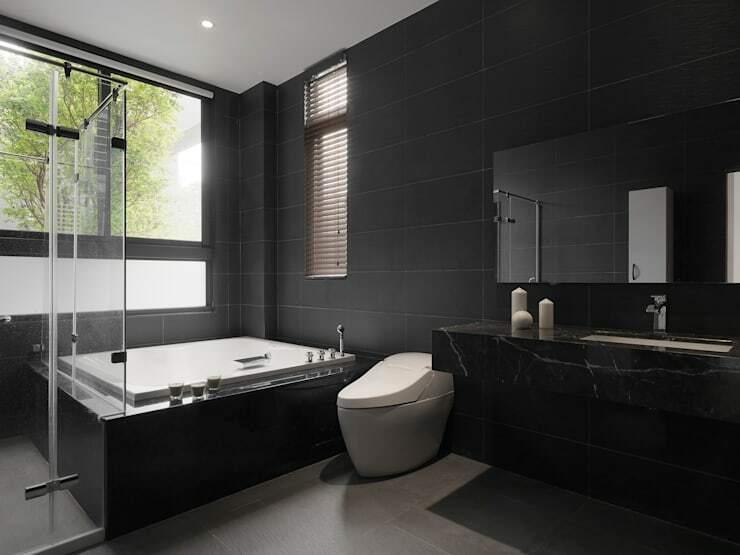 In black bathrooms, the occasional white feature will feel very bright, and the overall atmosphere is very romantic. 16. 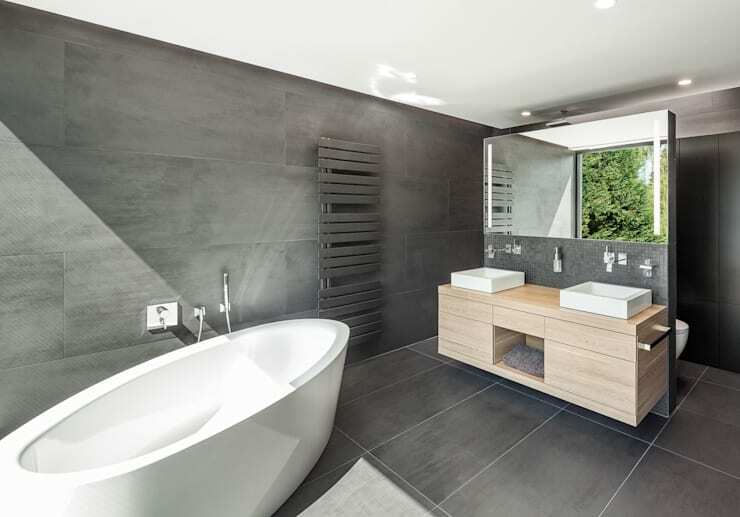 Here's another great use of grey, with wood and natural scenery to warm the space. 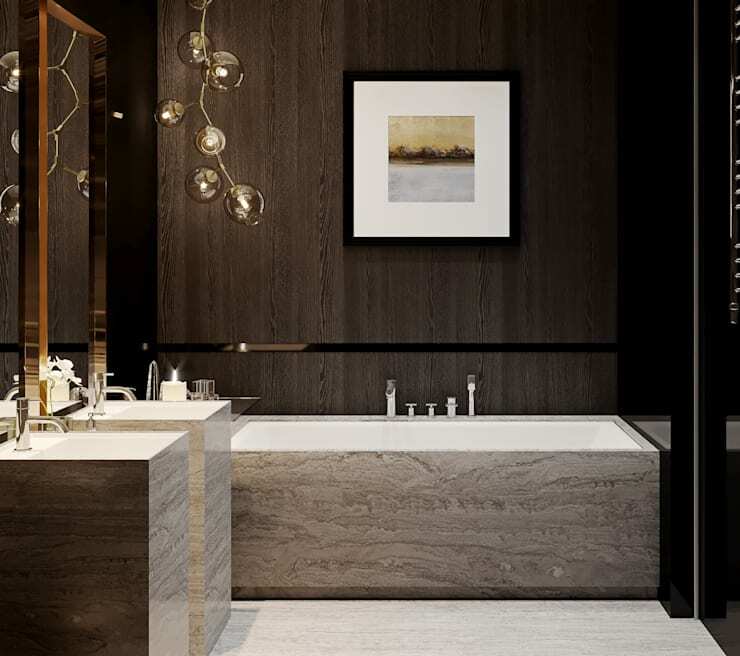 Need some decor inspiration to complete your neutral bathroom? Here are some of our best decor items.